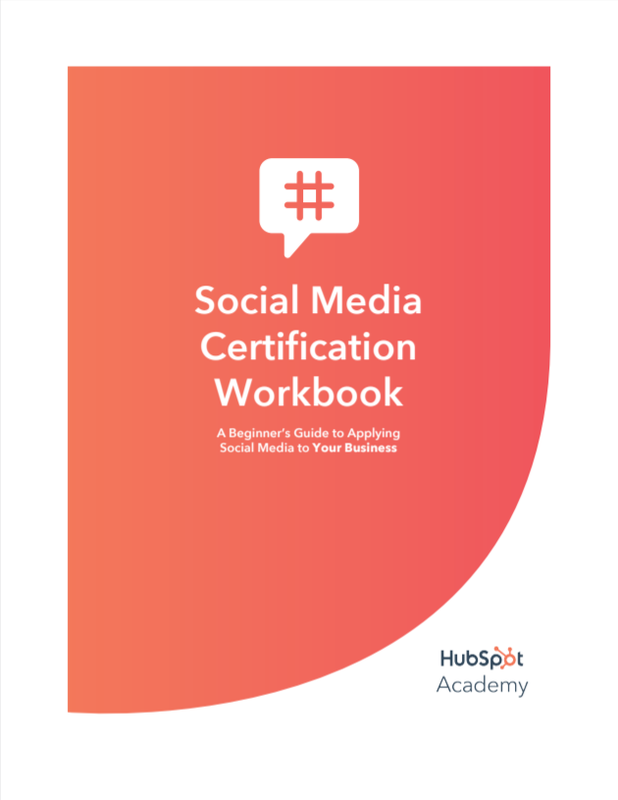 Welcome to the Social Media Certification workbook. You’re about to start an exciting journey to transform your understanding and approach to social media marketing. Today’s digital revolution has fundamentally changed how people gather and consume information. Gone are the days when consumers had to rely on companies to tell them what to buy and what to think about their products or services. Consumers instead prefer to discover relevant information on their own and through trusted friends or resources. Most importantly, they prefer to do so at a time and place most convenient to them. What Will You Learn in This Workbook? 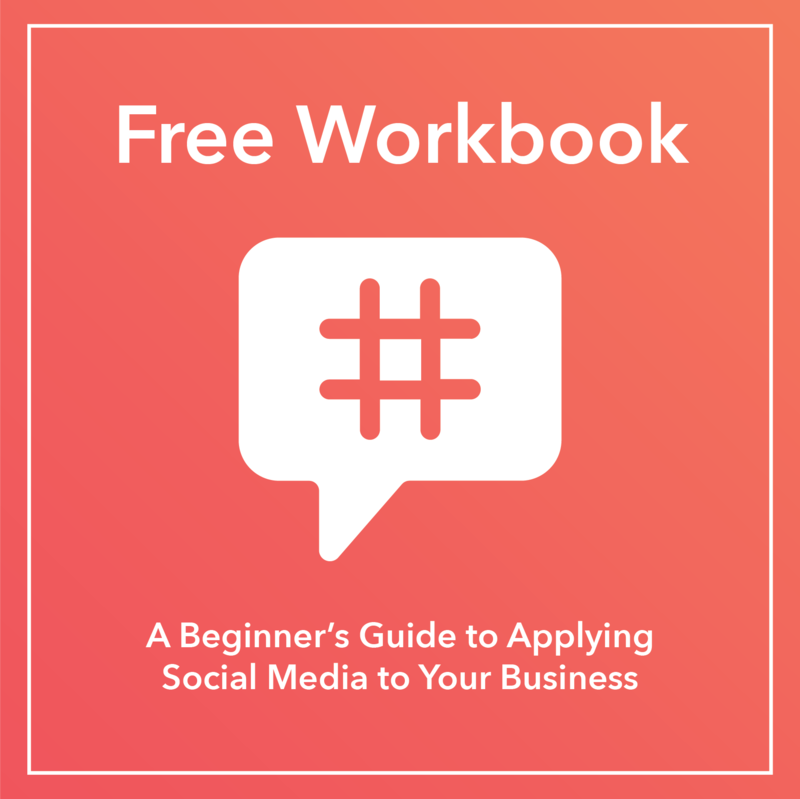 This workbook includes additional readings and activities that will help you digest the information covered in each section of HubSpot’s free Social Media Certification course. The content in the workbook runs parallel to the video course series. In addition, within each section of the workbook, there are links that guide you to the original course content. 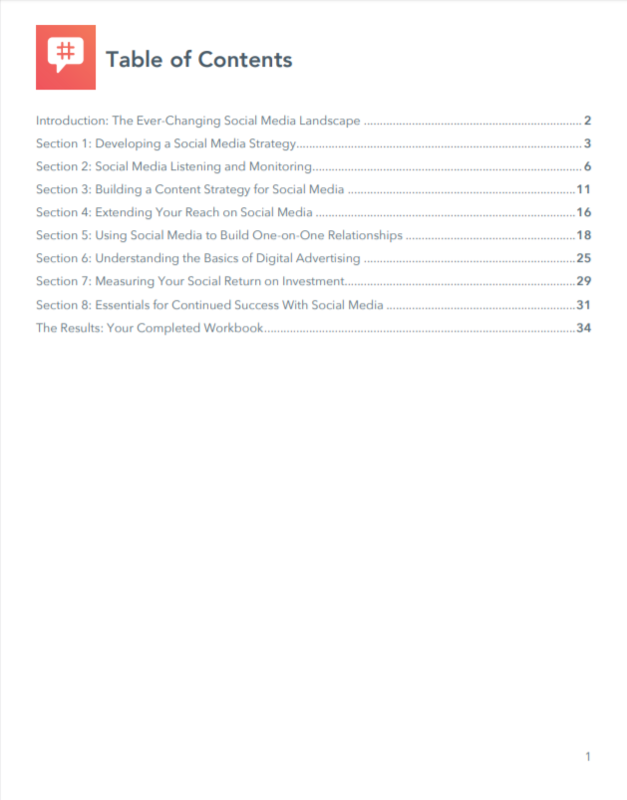 The content in the workbook together with the online course will solidify your understanding of social media. Develop a social media strategy based on your company's buyer personas. 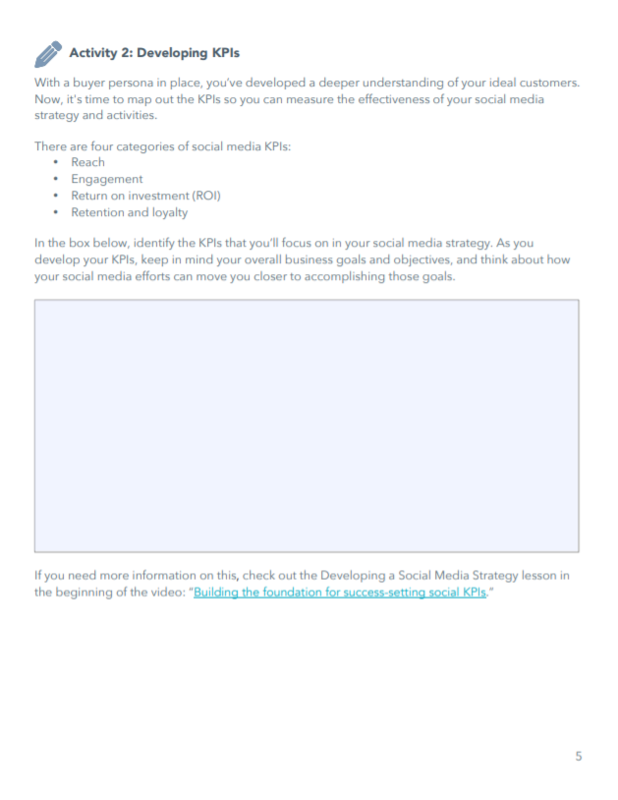 Develop key performance indicators (KPI) for your social media strategy. 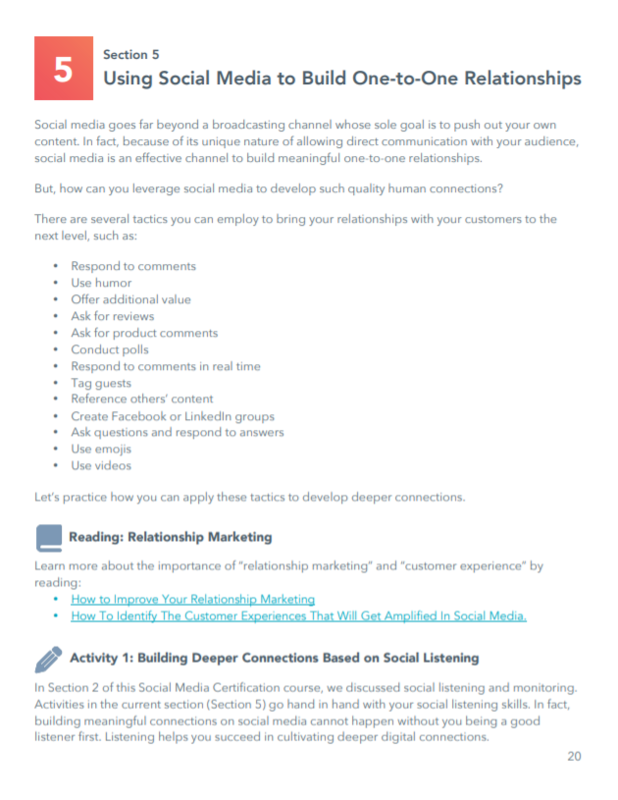 Practice your new social media listening and monitoring processes. 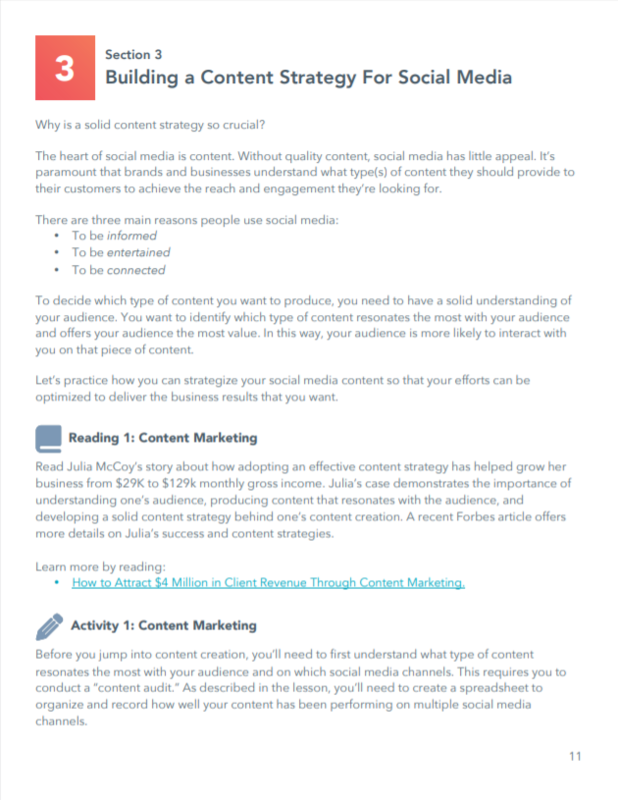 Build a social media content strategy that aligns with your business goals. Learn how to extend your social reach through user generated content and influencers. Build one-to-one relationships that delight your audience.